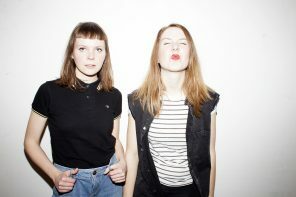 In cooperation with CTM Festival and the Goethe-Institut, Musicboard Berlin will grant one Berlin-based pop musician a residency abroad in Southeast Asia. As a part of the multi-year Nusasonic project and in collaboration with Yes No Klub, Playfreely/BlackKaji and WSK Festival for the Recently Possible, the residency will wander throughout Southeast Asia from year to year. In 2019 it will take place in Manila, The Philippines. Intended for solo artists working and living in Berlin. Pop musicians active between experimental pop, club music, sound art, noise, improvisation, and multimedia performance are encouraged to apply. Musicians interested in applying should demonstrate a high level of independence and personal initiative, and be open for interdisciplinary exchange. Up to two months between September and November 2019. The precise period can be coordinated between the cooperation partners and the selected musician. Nusasonic is a multi-year project run by the Goethe Institut in Southeast Asia. It has established as its goal the exploration of a wide spectrum of experimental sound- and music cultures in the region. The project is named after the old Javanese term Nusantara, which is used today to describe the diverse relationships and connections between the different countries of Southeast Asia. Nusasonic is devoted to supporting artistic exchange and dialogue within Southeast Asia as well as between this area and Europe. Nusasonic investigates the diversity and wide range of experimental sound- and music practices in Southeast Asia, explores the history and present forms of these practices, and brings them into dialogue with sound cultures in Europe and other places. Together with artists and cultural producers from the region and from Europe—and with critical attention towards local contexts and ongoing asymmetric constellations—the project seeks to provide an impulse towards the strengthening of auditory art practices in Southeast Asia and to promote the collaboration between artists from Southeast Asia, Europe, and other parts of the world. In many steps and through a wide array of activities and formats—festivals, workshops, and labs; commissioned works, residencies, publications—Nusasonic is dedicated to the production, reflection, presentation, and networking of experimental music scenes and sound cultures between Yogyakarta, Manila, Singapore, and Berlin as well as other places in Southeast Asia. 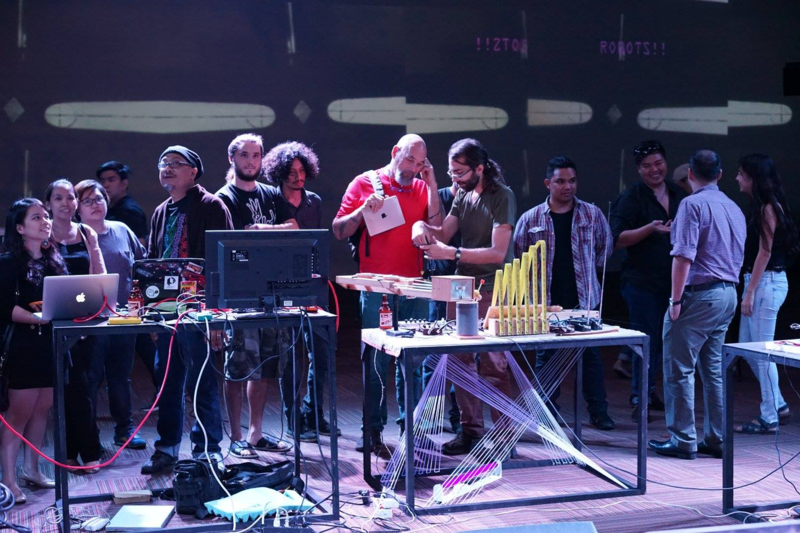 Nusasonic kicked-off with an artistic lab and festival in October 2018, in Yogyakarta. To be able to address as wide a diversity of practices and contexts as it does, Nusasonic relies on a multi-perspective collaborative process between various partner organisations from both Southeast Asia and Europe: Yes No Klub (Yogyakarta), WSK Festival of the Recently Possible (Manila), Playfreely/BlackKaji (Singapore), and CTM Festival for Adventurous Music & Art (Berlin). The residency offers the opportunity to form new connections between Berlin and Manila. The team of the WSK Festival will facilitate encounters and exchange between the invited musician and various figures in the Manila music scene. During the stay, a project should develop to be publicly presented at the WSK Festival for the Recently Possible at the end of the residency period. This project can unfold through the examination of the local environment of Manila, as a collaboration with artists from the city, or as the further development of solo work. The format of the project is open and will be developed through dialogue with the WSK team. It might take the form of a concert, a performance, an installation, a workshop, or something else. There is also the possibility of the presentation of these collaborative productions at the 2020 edition of the CTM Festival in Berlin. During the stay, the invited musician will live in a private apartment and be given a studio. The residence is best suited for musicians with an experimental and interdisciplinary practice. The application deadline for the Scholarships & Residencies programme is March 15, 2019. All application-related information and the link to the online form can be found here.